When I first heard that an admissions officer at Claremont McKenna College in California inflated SAT scores for a better ranking, I thought: How did college admissions get to be such a boondoggle? Claremont McKenna is a fine school, ranked No. 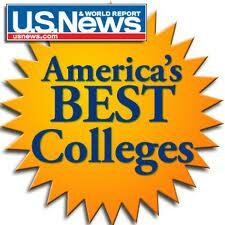 9 on the list of liberal arts colleges in the U.S. News & World Report ratings. A top-10 spot on the magazine’s college lists is an admissions office’s equivalent of the Holy Grail. But as C-M’s president explained, a rogue admissions officer had been inflating SAT scores by 10 to 20 points since 2005 to upgrade the college’s percentile score. The C-M story broke on the heels of the Vassar College admissions debacle. I wrote about the Vassar fiasco for The New York Times Motherlode Blog. My piece detailed the story of the 122 students who logged onto Vassar’s admission site (college admissions these days is pretty much paperless) and learned they were accepted. An hour later, citing a computer error, the college rescinded 76 of those acceptances – and the fireworks started. The Vassar story makes a parent like me – who just finished the college admissions process with her oldest child – cringe. I can only imagine the crushing blow to those kids and their parents. When Vassar initially realized the mistake, the school was extremely insensitive. For starters, no one from the school was available until Monday to sort things out for those unfortunate applicants. I was fascinated by the comments that were posted on my blog entry. A retired admissions director said that had this happened on her watch, her office would have stayed open the entire weekend to field the distress calls. Finally, a voice of reason and empathy. A number of other readers suggested that Vassar make good on the original acceptances and let in the 76 kids it ultimately rejected. One comment even detailed how these kids should be tracked for all four years to determine if they were Vassar material after all. But an equally vocal group thought these kids should learn earlier rather than later that life is sometimes unfair. In the end, the school contacted the affected kids and offered to refund the application fee as well as help them with their college search. Too little, too late, in my view. I’m almost tempted to advocate for letting the kids in, for goodness sake. The Vassar incident reinforced my feeling that the college admissions process is like a lottery. It also saps a kid’s strength and makes a pretty big dent in his self-esteem. How many times does a student hear that thousands of excellent candidates have very similar profiles? Color me naïve, but I believe that everyone is as unique as his or her DNA. I got raked over the coals for a couple of points I made in the piece. The first was that this whole affair was traumatic for the students and their families. More than a few commenters stated that I was badly in need of some perspective. I appreciate that many worse things can happen to a person than to be mistakenly admitted and then declined by her dream college. A couple of presumptuous readers said that what happened to the 76 Vassar applicants was an upper middle-class problem. I don’t see this as a class issue, but as a meritocratic one. I know it sounds Pollyannaish to believe that if you work hard enough, you’ll attain your goals. I also know there’s some random luck involved. For Woody Allen it’s even simpler: 90 percent of life is just about showing up. But what really got me into trouble with the Times readers was disclosing that I had my daughter’s acceptance letter framed. The day after the formal congratulations arrived the old fashioned way, stamped and postmarked, I headed to the frame store. A couple of readers thought I was ridiculous. In fact, the framer asked me if I would have been so particular about the right mat if the letter had been from a state school. I’d like to think that I would have been. A couple of people generously pointed out that I was simply rewarding my kid’s hard work by not stuffing the letter in a drawer. Others acknowledged that in the end, a college acceptance touches the parents, too. After all, we didn’t have the budget to hire a college coach, so Ken and I were the ones nagging our girl to finish her applications. Reminding a teenager to do anything isn’t pretty. There were a bunch of Sundays when it was all too much, and Ken and I avoided Anna for most of the day. There were also moments of clarity when we realized how ridiculous we were behaving. As for the bit of the perspective some readers thought I lacked, here’s some from my dear, late father. He used to say you can get a great education anywhere. A British journalist, Toby Young I think, was erroneously sent an admittance letter by the Oxford college he’d applied to. His father argued that the college had a moral obligation to accept him. It did. I think I agree with you that Vassar should have accepted those applicants. Colleges go to great lengths to attract those applicants (it boosts their rankings) and we have masses of evidence of the stress and sometimes agony kids endure through this process. IMO colleges are ethically bound not to screw this up. You tell ’em, my friend!! !